Tokenizing real-world assets creates room for more efficient trade. The team appears to have well established professionals capable of managing their projects. BANKEX has proved their skills by releasing a sufficient amount of demonstration material. They have several smart contracts already in place for their future platform. 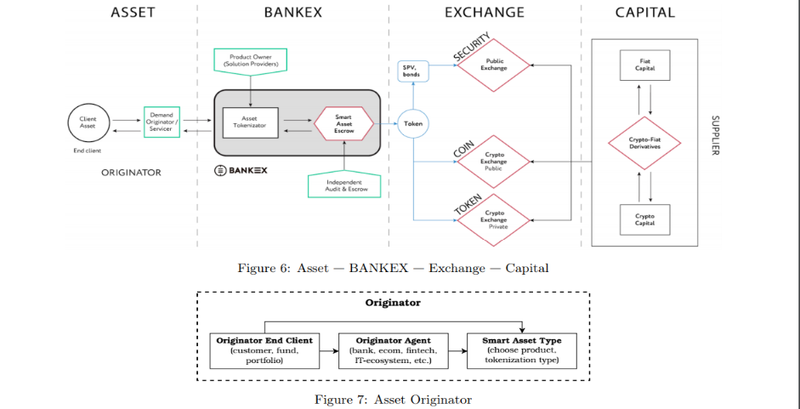 BANKEX is a Bank-as-a-Service on blockchain, building the Proof-of-Asset protocol. BANKEX’s main product is the Proof-of-Asset (PoA) protocol, which aims to solve the issue of asset liquidity. Proof-of-Asset means that the token issued as part of the protocol is backed by an actual asset. BankEx defines itself as a “Bank-as-a-Service on blockchain”, which somewhat cryptically refers to a platform that enables banks to exchange products via smart contracts. 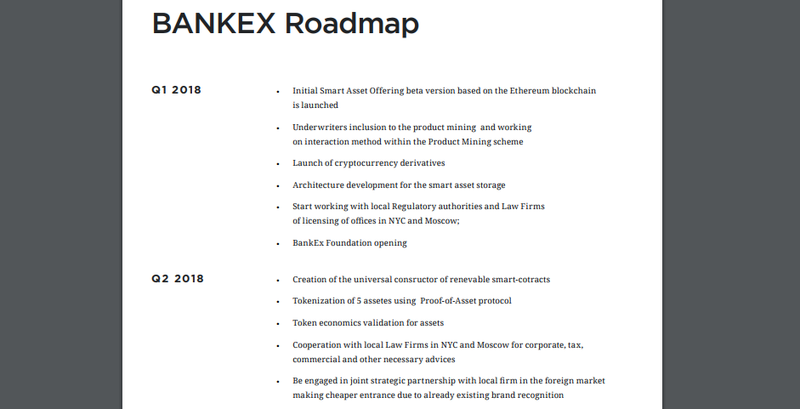 The BankEx platform is based on its main product and development – the Proof-of-Asset (PoA) protocol. PoA compliant tokens are backed by actual, real-world assets, and provide liquidity for those assets. 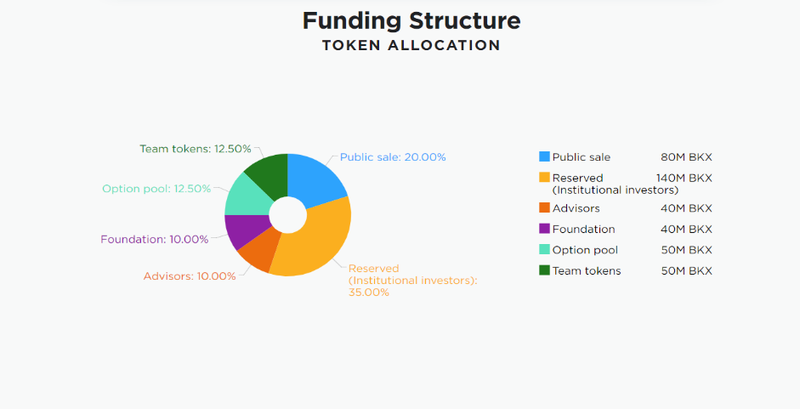 Unlike other specific asset-backed tokens, BankEx’s PoA protocol has a modular structure and allows tokenization of different types of assets. Some trust issues may be solved, but a heavy reliance on external oracles defeats the purpose of decentralization. Requesting an obscene amount of funding is suspect to proceed misallocation, especially when their technology piggybacks on Ethereum and doesn't require a blockchain of their own. Currently nothing is stopping tokenized assets from being sold again on a different market. Plans to prevent fraud are irrelevant because no logistics have been defined on how each asset will be controlled and maintained. Currently trending in the blockchain world is the tokenization of different real-world assets. Services provided by Bankex will allow users to give up the rights to their assets in exchange for tokens. We've seen other ICO's such as LAToken aim for the same space but their ICO has failed all the investors who succumbed to the hype. For a complete tokenization of real world assets, several parties must be aligned. The buyer, the seller, and all the contracted legal implications are reliant on the honest human. Bankex' endeavour fails to give peace of mind to the true utility of their applications. A human middle man could facilitate the process for all parties, but such interactions are ill-refined in their process. Bankex describes a digital framework to handle assets, but banks are not just services, there is a human KYC process which prevents the majority of fraud. Now the question is - Will a major bank or business use this digital framework to handle their assets? We don't see it happening anytime soon. There is little evidence to support a profitable investment in Bankex' ICO. This is likely why Bankex has opted to throw in a bunch of other technology alongside their flagship product to give the appearance of sustainable development. Feel free to take a trip on the hype train as it could give out decent rewards however, keep in mind that you could be getting off at the bottom of the hill with its obscenely high hard-cap and risky business model.